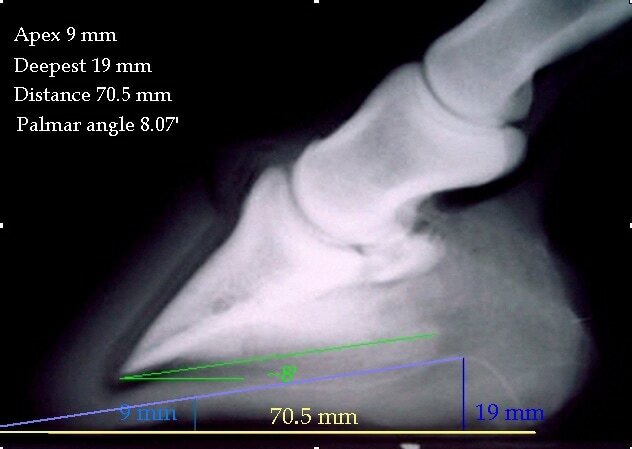 We have been experimenting with a calculation to estimate the palmar/plantar angle based on simple triangle theorems using the collateral groove depths at the apex, the deepest part and the measurement of the distance (along the centre of the frog- as shown by the green line in the photo) between the points at which the collateral grooves (apex and deepest part) are measured. 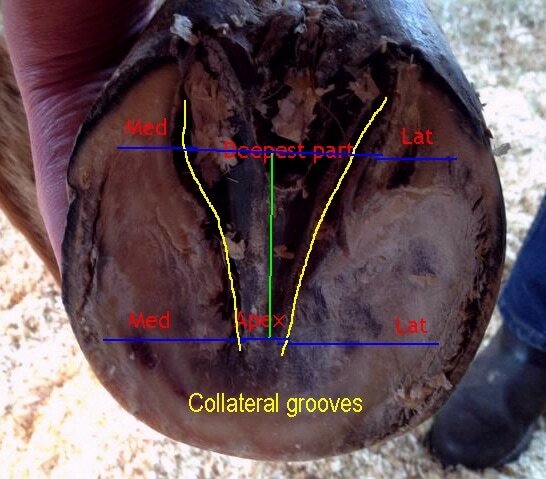 Early results on healthy feet measured against collateral grooves that can be seen on x-rays have been promising, but this is at best an estimating tool, not an accurate measure, and must be callibrated against x-rays for each individual horse. ​No responsibility is taken for using this tool. 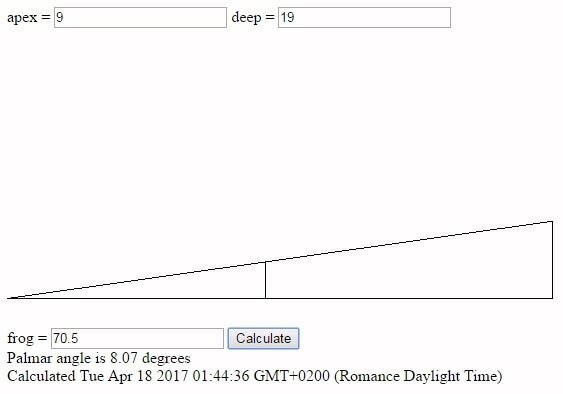 Enter all measurements in either cm or mm - it doesn't matter which are used but the same unit must be used for all 3 measurements.